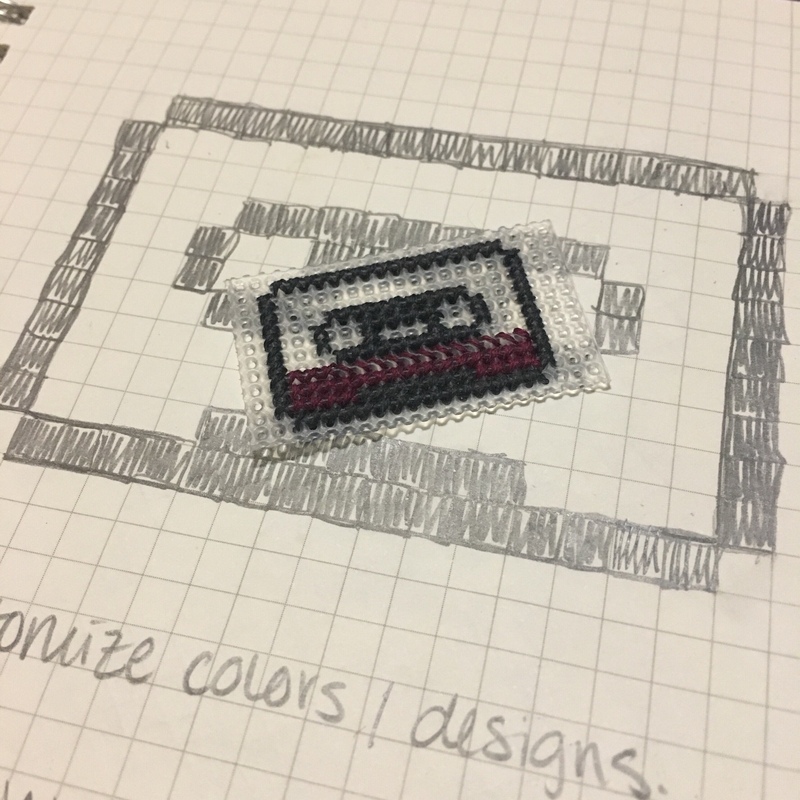 I recently started branching out in terms of the mediums I cross stitched on. For Christmas, I made a key chain for a good friend of mine. I used plastic canvas for the first time. I ended up having to make the dang thing over again because I cut the plastic too close and the threads started slipping out. But hey, lesson learned! I like the way the key chain turned out, and I wanted to make more. Inspiration struck during a conversation with my bud John regarding merch for his growing band – Mellow Cassette. I highly recommend checking them out if you like a more punk-ish, grungy rock sound. 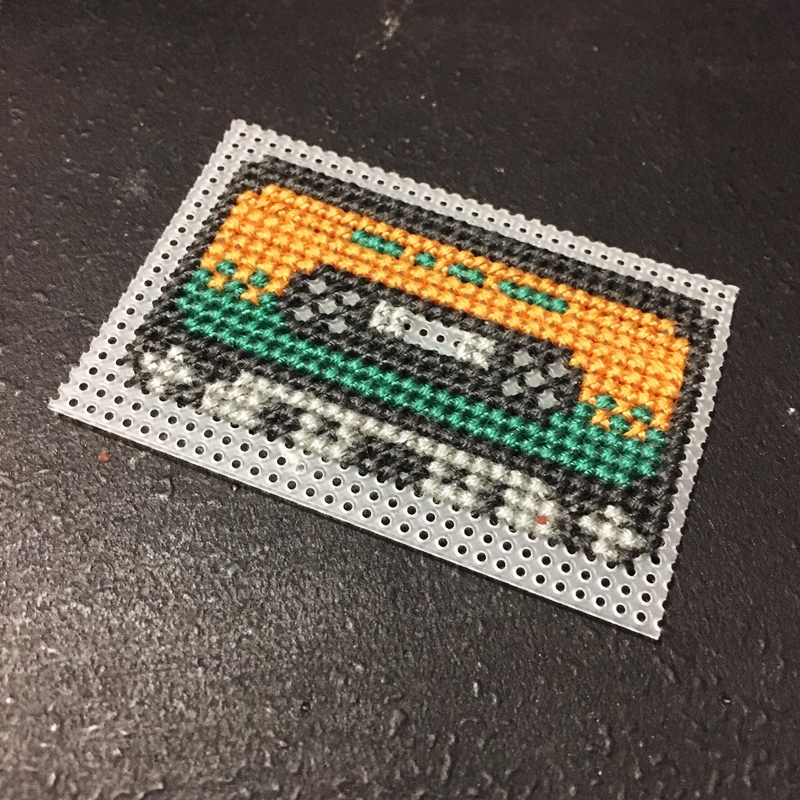 I adapted the patterns from perler bead patterns and pixel art. I like that these allow for a lot of customization. I ended up making two designs in two sizes – one bigger and one smaller. The colors I chose were inspired by Mellow Cassette’s first official music video for their song The Cartographer’s Incentive – a 70’s, flower-child era vibe. The smaller one turned out way better. Since I cut out a chunk of the plastic canvas sheet, I kept rotating the pieces around and on the larger one, it shows. I mixed up the order of my stitches a lot. It’s probably not noticeable to those who don’t stitch, but it’s noticeable to me. And I realized too late that I miscounted along the bottom of the tape. But oh well. I made these as prototypes for the band to look over. Even with the mistakes, these turned out really well. They both took me longer to make than I thought they would. But my biggest weakness is estimating the amount of time it will take to do something. 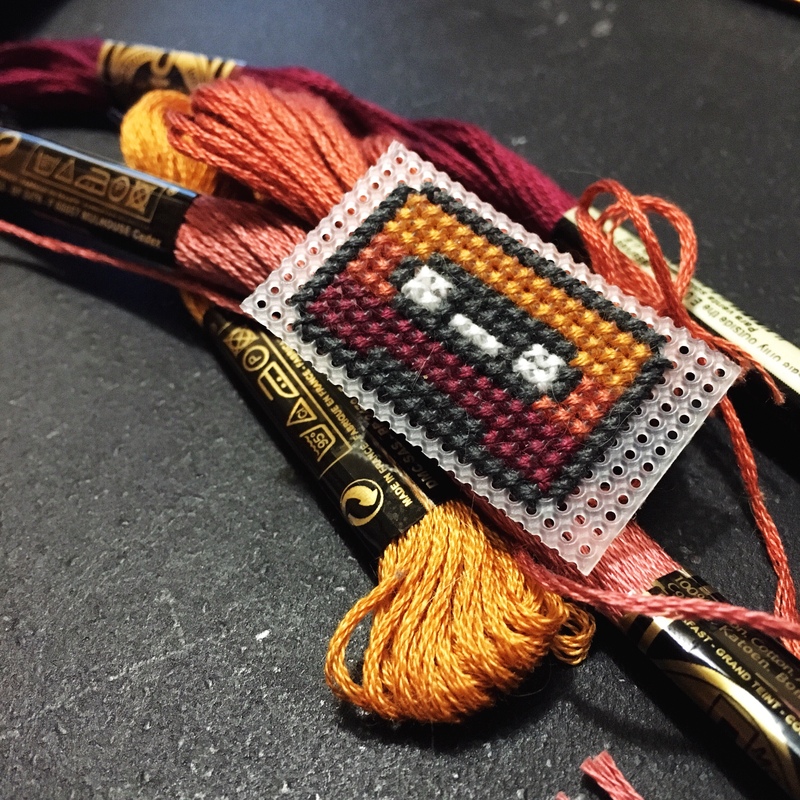 I will definitely be adding key chains to my cross stitching repertoire. 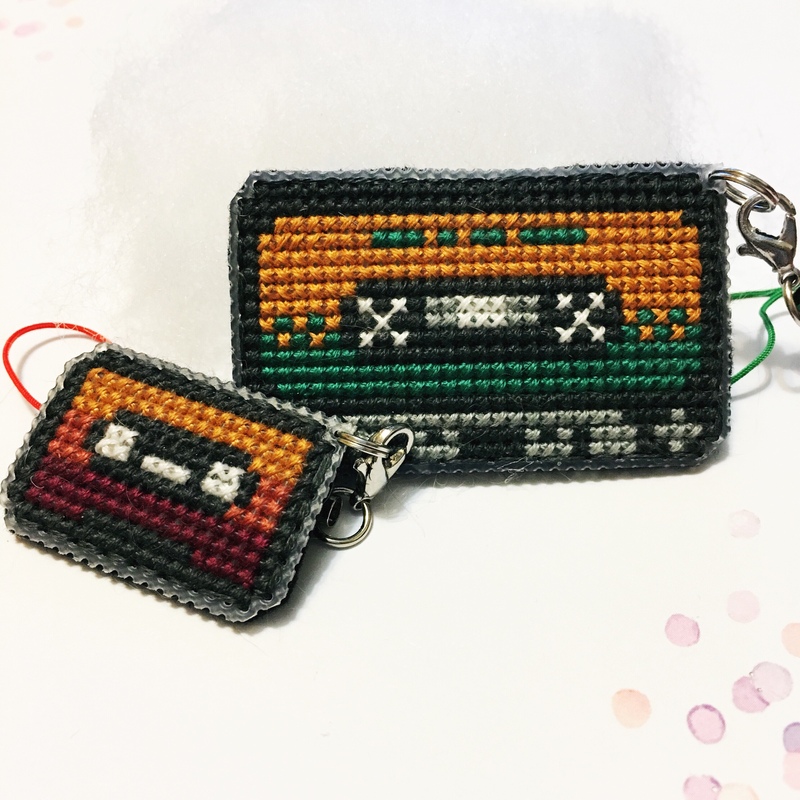 And maybe you’ll be able to snag a cassette key chain at a Mellow Cassette show!